Tibet travel is always sensitive due to the political climate in and around Tibet. Here is the latest Tibet news about the Holy Dalai Lama. The Dalai Lama (Tibetan spiritual leader) consecrated a Buddhist monastery on Thursday in India’s remote northeast, amid Chinese warnings that the exiled Tibetan spiritual leader’s visit to a disputed border region would damage bilateral relations with India. Nearly 10,000 people, some of them from neighbouring Bhutan, greeted the Dalai Lama at the Thubchok Gatsel Ling Monastery in Tawang district in the state of Arunachal Pradesh, Indian official Jemba Tshering said. The visit to Arunachal Pradesh, which China also claims as its territory, has raised tensions between the nuclear-armed Asian neighbours. China’s Foreign Ministry has said the visit “severely harms China’s interests and the China-India relationship,” while India has cautioned Beijing to stay out of its internal affairs. China considers the 81-year-old monk, who fled to India in 1959 amid an uprising against Chinese rule in Tibet, a separatist seeking Tibet’s independence. The Dalai Lama says he merely advocates substantial autonomy and protection of the region’s native Buddhist culture. The 81-year-old monk reiterated Wednesday that he as well as his people were not seeking Tibet’s independence, but are struggling to secure “meaningful autonomy” for the region from China. Chinese Foreign Ministry spokeswoman Hua Chunying on Wednesday rejected arguments that the trip was solely religious in nature, and said China would lodge a formal protest with New Delhi. The top elected official of the state of Arunachal Pradesh, Pema Khandu, accompanied the Dalai Lama as he addressed young monks on Wednesday. Khandu said China had no business telling India what to do and what not to do, the Press Trust of India news agency reported. India considers Tibet an integral part of China while rejecting Beijing’s claims over about 90,000 square kilometres (35,000 square miles) in Arunachal Pradesh. India says China is occupying 38,000 square kilometres (15,000 square miles) of its territory on the Aksai Chin plateau. The visit is the Dalai Lama’s seventh to Arunachal Pradesh and his first since 2009. China has criticized previous visits, but they did not spark any major rift between the two countries. Tibet tourism to the overseas travelers is related to the international political climate for Tibet. And for foreign travelers to travel to Tibet, a special Tibet travel permit is necessary. From the perspective of most travelers, the process for obtaining a Tibet permit is simple and straightforward. All they need to do is provide Tibet tour agency with copies of their passport and Chinese visa pages. Those arriving from Mainland China will have their permit waiting on them at their hotel while those arriving from Nepal will meet their native Tibetan guide at the border or airport. TCTS welcomes any questions travelers may have. 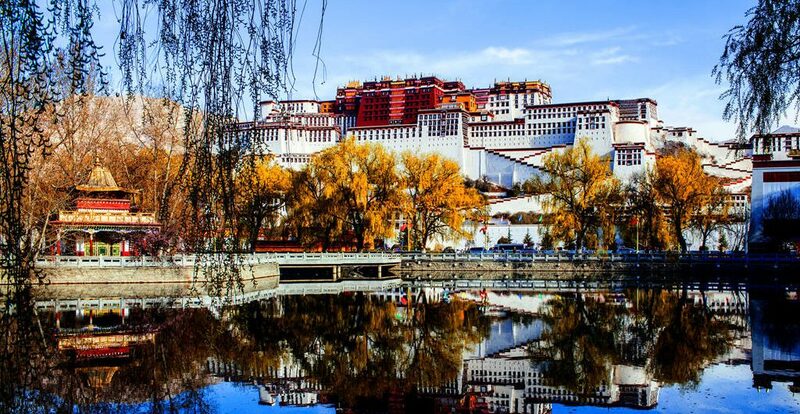 For more information regarding to Tibet tour, please contact local Tibet travel agency in Lhasa.With the travel season in full swing, travelers are encouraged to start planning their tour now! The news is from The Associated Press.